The Games on Demand version supports English. French, German, Spanish, Italian, Russian and Portuguese support will require a separate language pack download, accessible via the Additional Content menu option within the game. It is 1715. 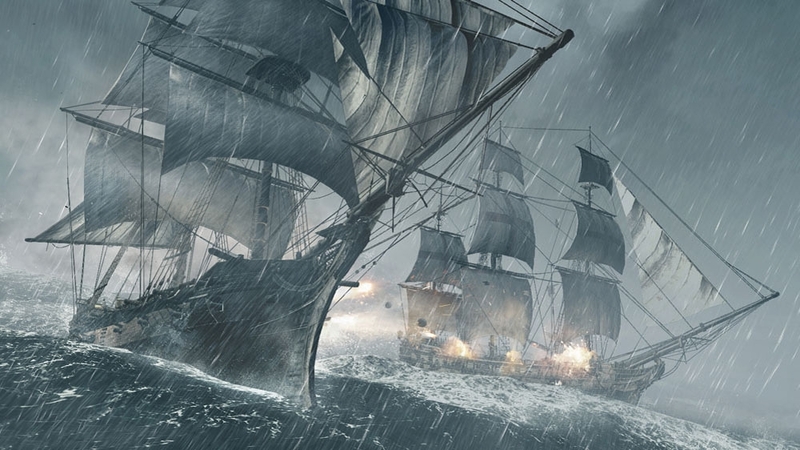 Pirates rule the Caribbean and have established a lawless Republic. 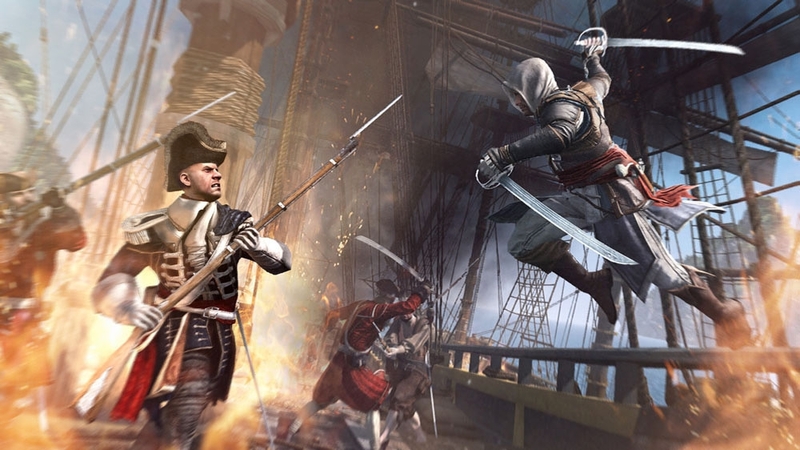 Among these outlaws is a fearsome young captain named Edward Kenway. His exploits earn the respect of legends like Blackbeard, but draw him into an ancient war that may destroy everything the pirates have built. If you own the Assassin’s Creed®4 Season Pass, DO NOT purchase this content here as you will be charged again. Assassin’s Creed®4 game required; sold separately. Xbox LIVE free membership required. The chaos ensues as three new fearless adventurers ready themselves for the challenge. Test your skill and wisdom against: The Stowaway, the mischievous, talkative spy; The Shaman, the crafty houngan asogwe (high priest); The Mermaid, a Templar navigational expert who gave her heart to the sea. This pack also comes with new customization options, and new moves. If you own the Assassin’s Creed®4 Season Pass, DO NOT purchase this content here as you will be charged again. Assassin’s Creed®4 game required; sold separately. Xbox LIVE free membership required. 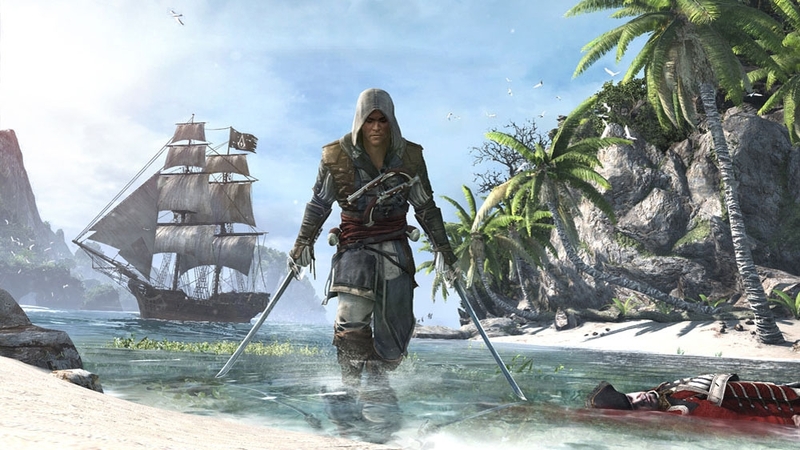 Explore new locations and discover the secrets of the Black island, Mystery Island and Sacrifice Island to find hidden treasure chest to get access to new outfits and weapons for Edward, and figureheads and sails for you ship, the Jackdaw. Stand out in multiplayer with new and exclusive costume sets, pictures, titles, relics and emblems! If you own the Assassin’s Creed®4 Season Pass, DO NOT purchase this content here as you will be charged again. Assassin’s Creed®4 game required; sold separately. Xbox LIVE free membership required. 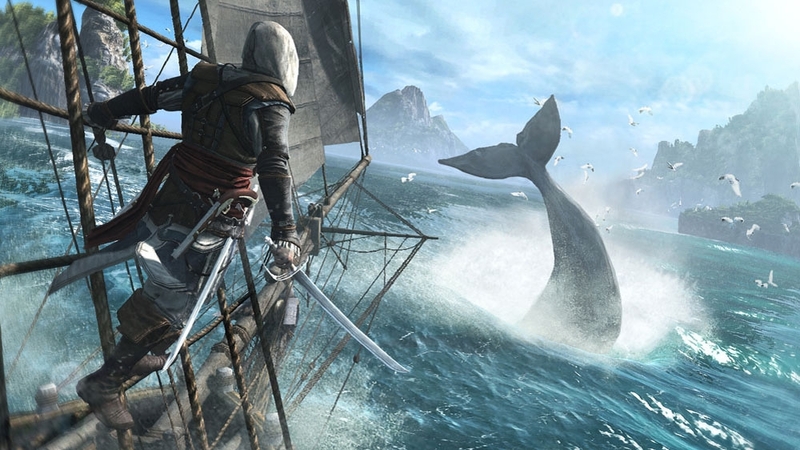 Born a slave, Adewale found freedom as a pirate aboard Edward Kenway’s ship, the Jackdaw. 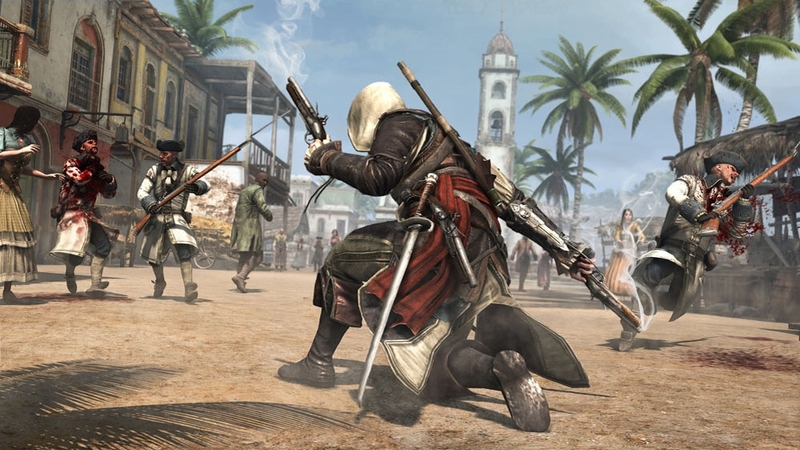 15 years later, Adewale has become a trained Assassin who finds himself shipwrecked in Saint-Domingue without weapons or crew. He now has to acquire a ship and gather his own crew to free the slaves and avenge them. Over 3 hours of new single-player gameplay! If you own the Assassin’s Creed®4 Season Pass, DO NOT purchase this content here as you will be charged again. 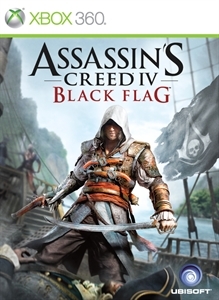 Assassin’s Creed®4 game required; sold separately. Xbox LIVE free membership required. 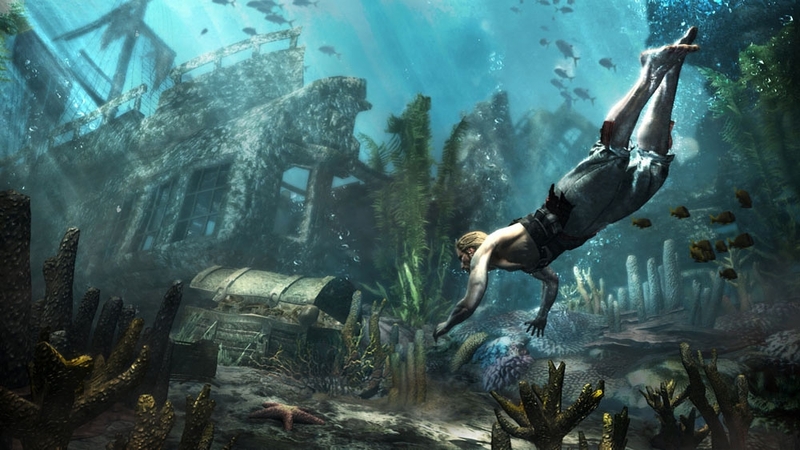 Ready for another sea-worthy challenge? This pack contains three new fearsome contenders who will keep you on your toes: The Jaguar, a good and mighty Aztec Templar; Blackbeard, the most feared pirate of the seven seas; The Orchid, the stone-hearted pirate queen. Test your abilities by engaging in countless battles against these cold-blooded champions. Hunt your targets across two new multiplayer maps – Plantation and Fort St. Matthew. If you own the Assassin’s Creed®4 Season Pass, DO NOT purchase this content here as you will be charged again. Assassin’s Creed®4 game required; sold separately. Xbox LIVE free membership required. Sail with Altaïr and Ezio’s colors with 4 customization items for your ship and 2 new weapons for Edward: Ezio’s Iconic Figurehead, Ezio’s Unique Sails, Ezio’s Swords, Altaïr’s Iconic Figurehead, Altaïr’s Unique Sails, Altaïr’s Sword. Important: You need to progress until Sequence 3 memory 04 to see those items in the Jackdaw and Edward upgrade menu. Go into your Captain’s cabin to equip them. If you own the Assassin’s Creed®4 Season Pass, DO NOT purchase this content here as you will be charged again. 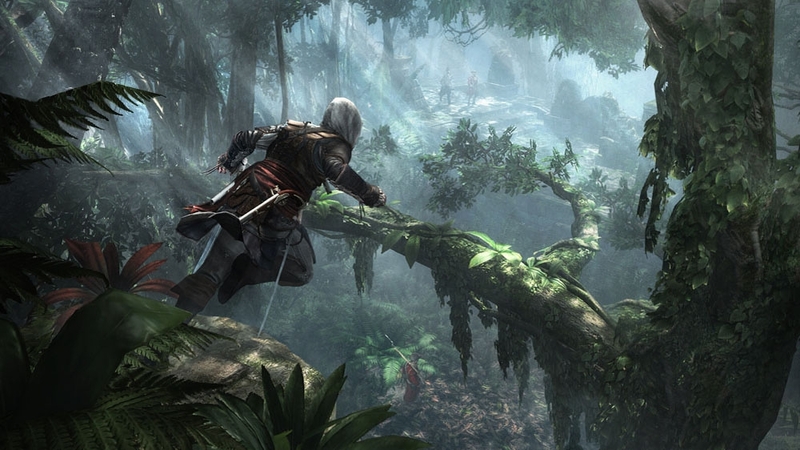 Assassin’s Creed®4 game required; sold separately. Xbox LIVE free membership required. Give a fearsome look to your ship with those 3 unique customization items: The Death Vessel Figurehead, Death Vessel Sails and Death Vessel Wheel. Important: You need to progress until Sequence 3 memory 04 to see those items in the Jackdaw upgrades menu. Go into your Captain’s cabin or in a Harbor Master to equip them on your ship. This pack unlocks all multi-player abilities and sets, giving you a leg up on your competition. Includes profile sets, abilities, perks, streaks, and bonuses. Look great as you hunt your targets. This pack unlocks all multiplayer customization items including costumes, weapons, moves, emblems, and patron pictures from level 1-55.